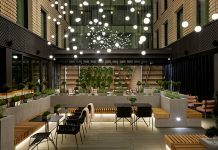 For most new hoteliers, early success lies in focusing on a specific market; building a portfolio in a select location – be it city, country or continent – before expanding horizons and looking to opportunities further afield. Not for Arnaud Zannier. 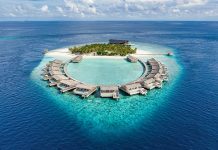 The founder of Zannier Hotels, which only launched its first property in 2011, has taken a somewhat unorthodox approach, flitting between mountain, city, paddy field and savannah to open what is now a four-strong portfolio spanning four countries and three vastly different continents. With an entrepreneurial spirit, Zannier has spent much of his working life creating new concepts. The son of French fashion industrialist Roger Zannier, he studied in Switzerland and Paris, before making his mark on the family business, developing the Kickers shoes brand at an international level. 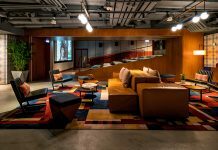 In 2001, the then 28-year-old went solo, launching his own footwear company built on the principles of simplicity, quality, originality and constructional know-how – values that have gone on to serve him well in the hospitality world. Zannier’s true calling came in 2010, when his father requested he return to the family fold, fast approaching its 50th anniversary and gaining a reputation for childrenswear, having created ranges for the likes of Kenzo Kids, Junior Gaultier and Paul Smith Junior. The venture was risky. The positioning was way above anything else in the village at that time; each suite was designed as an authentic Alpine chalet – the largest featuring two bedrooms, a lounge with open fireplace and a balcony with views of the mountains – and the staff-to-room ratio particularly high with 40 employees for 12 keys. But it paid off. “The product worked very well from day one. It’s been seven years since the opening of our first hotel, and in that time our idea has grown,” he continues. The group’s second hotel opened in Cambodia in 2015, and was the one to really put Zannier Hotels on the map. Built amongst rice paddies on the outskirts of Siem Reap, Phum Baitang is designed as an authentic Cambodian village, with 45 stilted villas dotted across eight hectares of land, along with an outdoor infinity pool, two restaurants, and a cocktail bar housed within a 100-year-old Khmer farmhouse. Rustic materials such as wood and stone combine with local building traditions and indigenous vegetation for a truly authentic experience; and then there’s the resident water buffalo that roam freely on the site. 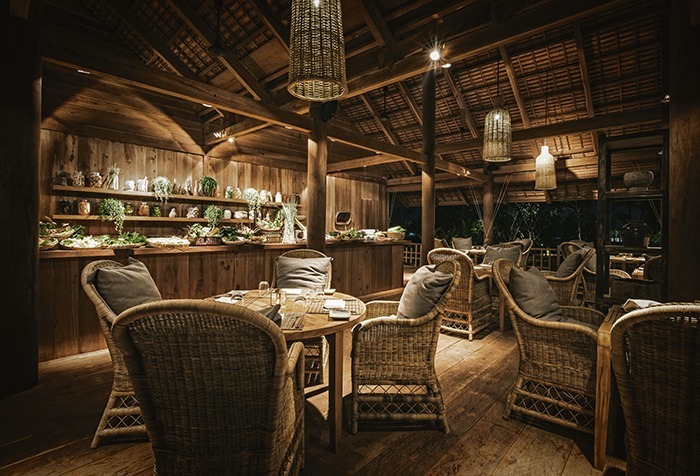 “It’s a true experience of being in the countryside in Cambodia, that’s what we love at Zannier Hotels,” he notes. Phum Baitang came to the attention of the world’s media when Hollywood actress Angelina Jolie spent three months at the resort while filming in the country. It has also won Zannier a cabinet full of awards, with the property scooping the top accolade at the 2016 Asia Hotel Design Awards. 1898 The Post is the group’s second property in Europe, making its debut in 2017 in the city of Ghent. 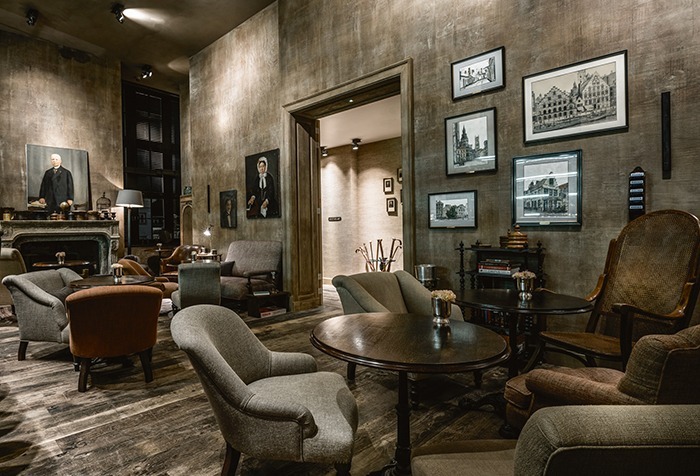 As with other hotels in the portfolio, the team immersed themselves in local culture and history of the building, creating stories and enhancing architectural details of the Neo-Gothic landmark. Rich colours, natural textures and materials that better with age take centrestage and continue a commitment to purity and authenticity. Since this first meeting, Zannier has become immersed in the country, and consequently the project has snowballed into a multi-site development. “When I discovered the country I realised that it’s so diverse and we’d need at least three to four lodges for people to discover the culture and landscape,” he continues. Inspired by the traditional architecture of the Owambo people, Omaanda is the first in a series of lodges to open across the country, and once again takes the brand into new territory. It will offer safaris in the newly formed Zannier Reserve, and support the Shiloh Wildlife Sanctuary, a clinic for injured rhinos and elephants. 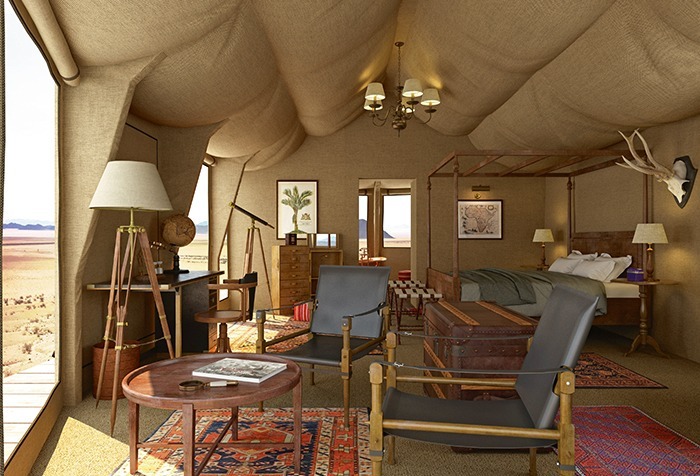 Further properties are planned for Sossusvlei in the desert, Etosha to the north, and in the Caprivi region, close to Okavanga Delta. A mobile camp is also in the works, journeying between the sites for a cross-country adventure. Elsewhere there’s talk of an extension at Phum Baitang, a new venture in Vietnam, and aspirations to head west to the Americas. The Vietnam project is under construction and is set to feature 71 beach huts lining a private bay in Phu Yen province. Slated to open in 2020, it marks the group’s largest project in terms of investment and will also test its real estate potential, with 45 villas available for purchase. As for the US, Zannier believes that, despite the overcrowded luxury sector, the group can bring something new. “We know that 30% of our guests at Phum Baitang for example are coming from the USA; I’m sure that our DNA is different enough and will create something really fresh for the US market. “After Vietnam we have another potential project in Southeast Asia and we’ve just had a request from Central America, which is interesting because it’s another continent and could be a door to the US market,” Zannier continues, before revealing that the site is in fact in Mexico, and he’s headed there in a matter of weeks.